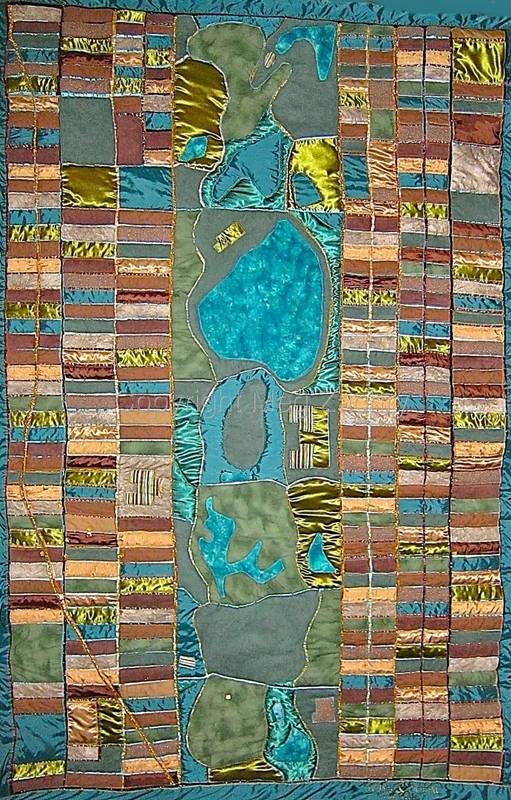 Quilt which is at once an abstract design and a map of Manhattan in New York City. The quilt was designed and created for my brother for a wedding gift and it depicts the area of the city where he lives with his wife and there are buttons sewn on to show places that they especially love. It is artwork and memory map in one! It is the size of Queen sized bed and also has attachable loops for hanging on a wall. Other map quilts are available on commission.